Oumph! 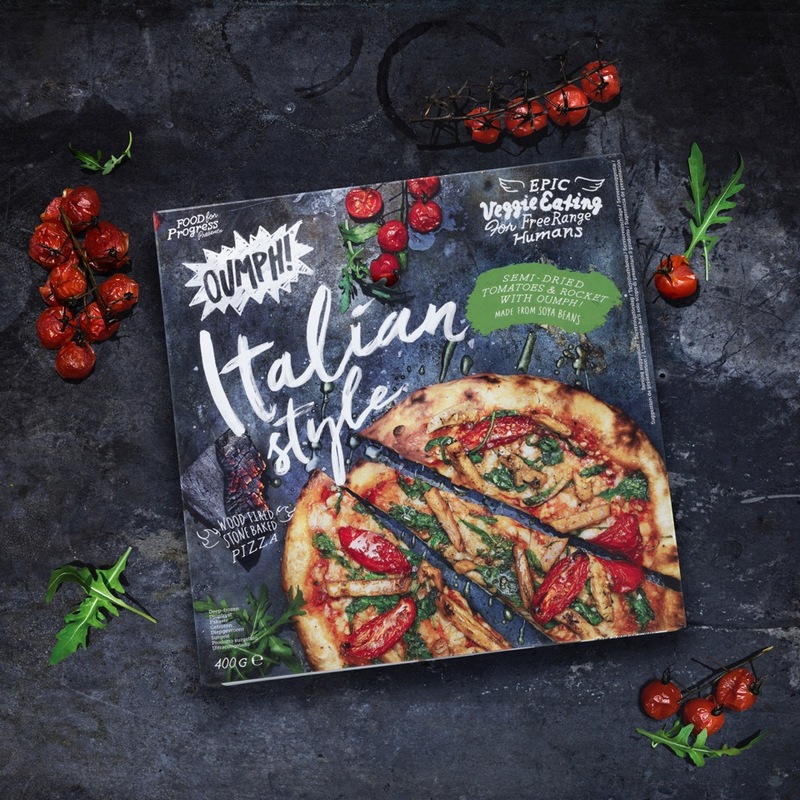 are launching their plant-based frozen Italian Style pizza in 179 Tesco stores in the UK from September 16, 2018. The Oumph! Italian Style pizza is inspired by Italy with semi-dried tomatoes, rocket, thyme and garlic seasoned Oumph!, and organic plant-based cheese. The pizza base is hand-stretched and baked in a wood-fired brick oven. “At Food for Progress we believe in mouth-watering food that is kinder to the environment”, says Anna-Kajsa Lidell, Co-founder & Head of Progress Strategy. “With our pizza we hope to reach new consumer groups beyond the core vegan and vegetarian fan base”. The Oumph! Italian Style pizza is already a huge success in Sweden, Norway, Denmark and Finland. In some stores the success was unexpected and the pizza sold out within a couple of days! Preparing the Oumph! pizza will be simple. Place the frozen pizza directly from the freezer (unwrapped) on a baking tray in the middle of a preheated oven (Electric 220 °C/Hot Air 200 °C/Gas Mark 6) for 7-9 minutes. Done! The Oumph! Italian Style Pizza is launched in 179 Tesco stores from 16th of September, where you’ll find it in the freezer section. The 400 g pizza costs £3.99. Also on 16th of September, Tesco will launch the Oumph! Salty & Smoky, alongside current Oumph! products in Tesco’s frozen section; Pulled Oumph!, Oumph! Kebab Spiced and Oumph! The Chunk. RSP £3.49 per pack (280 g). You can follow Oumph! on Instagram.